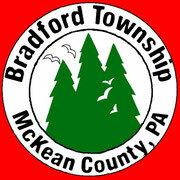 Bradford Township has adopted both the International Property Maintenance Code and the International Residential Code. Bradford Township residents are required to register their rental properties with the Code Enforcement Officer. When the rental passes our inspection a Certificate of Compliance will be issued. The property then must be re-inspected by our office whenever a change of tenants occurs and before the new tenant can move in. Landlords can obtain a list of code requirements by calling our office. Also, Bradford Township requires any resident who is selling their house, either through a realtor, land contact or rent-to-own they must first obtain a Disclosure Sale Inspection through our office. After the house is inspected a Letter of Disclosure permit will be issued to the seller. Some common code violations of rentals or sales are smoke detectors. Smoke detectors are required in each story of a dwelling unit, including basements and attics and the ceiling on the wall outside of each separate sleeping area in the immediate vicinity of the bedroom. Smoke detectors are also required in attached garages. Storage of unuseable vehicles. There is no open storage of any vehicle allowed. Vehicles must be licensed, insured, registered and must run. Grass, weeds or vegetation cannot exceed a height of 8".